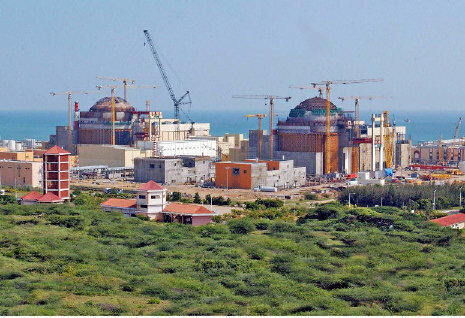 Recently a number of people observed a fast near the Koodankulam Nuclear Power Station. This power station consists of two reactor units, each with a generating capacity of 1,000 megawatts. The first unit is ready for fuel loading and can start up in the next three months or so. However the agitation has interrupted the start up activities. After the March earthquake and tsunami in Japan, three reactors suffered serious damage and radioactivity spread to the neighbourhood. Japanese authorities evacuated people living in a 20 kilometre radius from the reactors. The Fukushima accident has alerted all organisations concerned with nuclear energy development. Prime Minister Manmohan Singh promptly ordered a review of the safety status of all nuclear power units, both in operation and construction. The Nuclear Power Corporation of India (NPCIL) and the Atomic Energy Regulatory Board (AERB), set up a number of task forces to review the safety features of the reactors, risks posed by earthquakes, tsunamis and flooding due to any reason, disconnection of the nuclear unit from the electrical grid system, and such other unusual situations. These reviews have shown that the kind of situation that developed in Japan is not likely to occur in our installations due to adoption of conservative design features and above all absence of the severe intensity earthquake that shook Japan. As a result of the reviews carried out by NPCIL and AERB, certain additional design features are being implemented in our installations. One of them is providing adequate capacity portable air-cooled diesel generator sets to supply power to essential services, without fail. Another is ensuring that adequate amount of fresh water is available for ensuring cooling of the nuclear fuel. The Koodankulam nuclear power units belong to the third generation of design evolution, whereas the Fukushima reactors belong to the first generation. Specifically for the purpose of cooling nuclear fuel, when the reactor is shut down, there are four independent systems each with its own diesel generator (of 8 MW), its own pumps and heat exchangers. Normally one such system is adequate. Providing four systems ensures that even if there is a malfunction in one or two systems, the other is available. The level of the diesel generator, its switch gear and controls are several metres higher than the highest tsunami or flood level expected at Koodankulam. A special feature of the Koodankulam design is the provision of a Passive Cooling System for the nuclear reactor core. The water cooling the reactor transfers its heat to the water in the steam generators. Normally, steam is produced in the steam generators which then drives the turbine generator and produces electricity. After doing work in the turbine, steam condenses into water in the condenser and is pumped back to the steam generator. In an abnormal situation when no power is available to drive these pumps, the hot water in the steam generator flows up to an air-cooled heat exchanger located at a high level on the outside of the reactor building. Due to the height difference the hot water rises up and cold water flows down to the steam generator. This is called the thermo siphon effect and does not need a pump. This feature was incorporated in the Koodankulam design at the specific instance of India. Koodankulam reactors are the first such reactors to have this passive cooling feature. A further feature in the Koodankulam design is called a 'core catcher'. In the event of an accident and the molten nuclear fuel were to breach the reactor pressure vessel, it falls on to a matrix containing a large amount of neutron absorbing substances (such as boron). On mixing with this material, the nuclear fuel is rendered incapable of starting a nuclear chain reaction. Only the latest design provide for this safety back up system. Many of the people living around Koodankulam are engaged in fishing activities. There are fears that the reactor might affect their means of livelihood but fishing activities at Kalpakkam and Tarapur are going on normally without any hindrance. In fact quality of life and standard of living has improved in these areas. Some who oppose nuclear energy on principle say 'let us use solar and wind energy'. At present solar energy costs about Rs 20/kWh, wind energy may cost Rs 10/kWh and is available only for about 20 or 25 per cent of the time when wind blows. Our nuclear power stations are selling energy at Rs 1/ kWh at Tarapur, Rs 3/kWh at Kaiga and the newer units. 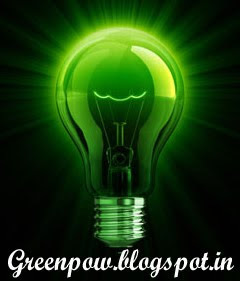 Power from Koodankulam will be well below Rs 3/kWh. We all know how Tamil Nadu and the other southern states are struggling with power shortages. The two units of Koodankulam will supply about 1000 MW to Tamil Nadu, without the hassle of getting coal from Orissa or overseas.